There's a simple reason why the D-MAX is such a fuel efficient ute; our engineers have decades of experience in commercial transport, where every litre counts. When you’re carrying real world loads in real world conditions—up hills, through traffic or rough terrain—you’ll be surprised at how far you can go without needing to pull in for fuel. Diesel engines are 20-30% more efficient than petrol, and Isuzu specialises in diesel engines. It’s all we use. Diesel is denser than petrol and contains more energy by volume. This means you burn less to do more. Diesel engines burn fuel at a much higher temperature than petrol engines, which reduces waste and increases efficiency. Diesel engines work under much higher levels of air/fuel compression than petrol engines, which is one way you get a higher torque output. Isuzu have been designing diesel engines for nearly 100 years. 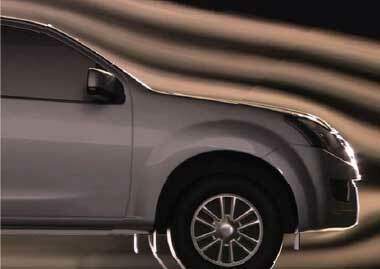 Now Isuzu’s cutting edge diesel technology is in the D-MAX 3.0L turbo diesel engine. 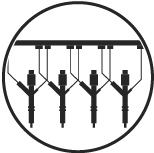 For precise control over fuel injection timing and the quantity of fuel delivered, common rail technology is unsurpassed. The Isuzu super-high pressure common rail technology ensures you burn minimal fuel while still getting maximum performance, making the D-MAX a highly fuel efficient ute. 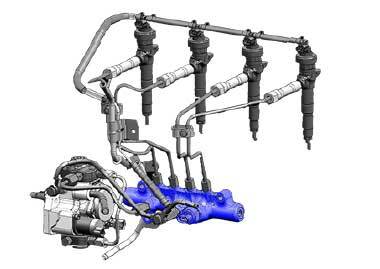 The D-MAX Variable Geometry System (VGS) isn’t just about power, it’s also about efficiency. 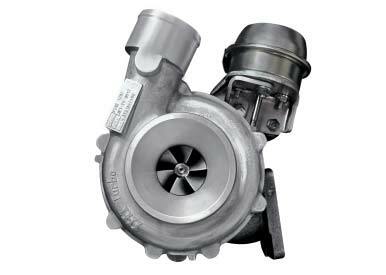 The VGS turbocharger constantly adjusts to achieve maximum air compression from low RPM. This ensures minimal fuel usage and maximum torque throughout the rev-range. Like the Japanese bullet trains, the D-MAX has been extensively tested in the Japan Railway Technical Research Institute wind tunnel. This—together with advanced refinement at Italian auto design house Pininfarina—has ensured the D-MAX body has a record low drag co-efficiency (Cd) figure. Not only does this sleek design improve fuel efficiency, but it also reduces cabin noise levels to give you a more comfortable ride. DON’T BIGGER ENGINES USE MORE FUEL? 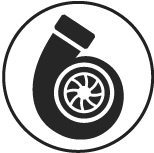 A common misconception is that a bigger engine means you are using more fuel. In fact, for D-MAX, opposite is true. The larger 3.0L engine capacity means the D-MAX can generate more power when you need it, without over-stressing the engine. This makes the D-MAX more fuel efficient as well as more reliable. #Fuel consumption and emissions figures based on ADR 81/02 (combined cycle test) and are to be used for vehicle comparison purposes only. 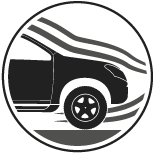 Actual fuel consumption and emissions will vary depending on many factors including, but not limited to, traffic conditions, individual driving style and vehicle condition.